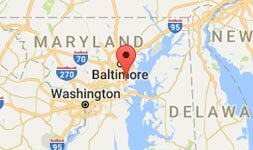 ABD Dumpster Service provides dumpster rentals for a variety of needs across the State of Maryland. Below you will find the answers to commonly asked questions regarding our dumpster service. If you have any questions, feel free to contact us. What size dumpster would be the best for my project? ABD offers 3 different sized dumpsters for your waste management needs; 15 yards, 20 yards, and 30 yards. For a small (one room) renovation project or a deep spring cleaning, the 15-yard dumpster would be your best bet. This is equivalent to roughly 4-5 pickup truck loads. If you’re planting new landscaping or renovating your basement and think a 15-yard dumpster will be too small, the 20-yard dumpster will be your best solution. This is a little more than 6 pickup truck loads. If you have a large construction project, community clean-up or demolition job, the 30- yard dumpster will be the best bang for your buck! This is around 9-10 pickup truck loads. Whichever one you choose, you can be sure that ABD Dumpster Service will deliver on time and to your satisfaction. What can I put into the dumpster? If you have any questions, please contact one of our Customer Service Specialists and they would be happy to assist you. 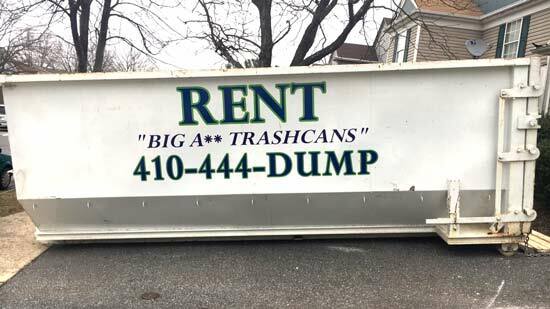 The price to rent one of our dumpsters varies based on weight, size, and duration of the rental, but we guarantee that our affordable dumpsters will be cheaper than the other guys! (Please note that dumpster weight can not exceed 10 tons. Concrete, soil, plaster, roofing etc. is substantially heavier than other waste items. Who are your dumpsters available to? ABD Dumpsters has provided waste management services to many different types of clientele; small businesses, local contractors, community associations, Do-It-Yourself homeowners, and everyone in between. With our extensive knowledge of the business, we are able to cater to even the smallest jobs. Should I be there when the dumpster is delivered? We strongly prefer to have our customers present during the delivery. Luckily, ABD Dumpsters is willing to work with even the busiest of schedules. We are open 24 hours a day, 7 days a week. Please note that although we provide next day dumpster delivery, the earlier you schedule, the more flexible we can be. Depending on where you live, you may need to acquire a permit. You can typically obtain a permit from your county’s building or public works department. ABD is not responsible for acquiring such permitting. How long can I rent the dumpster for? The initial rental is for 14 days, but ABD offers the flexibility for any project’s timeline. When do I pay for the dumpster? How? You are welcome to pay for the dumpster when you place the order, or we can process your payment onsite! We accept cash, checks, and all major credit cards. We ask that you do not fill your dumpster past the top rails and that the waste placed in dumpster is evenly distributed. Once the dumpster is picked up, there will be a tarp placed over top of it in order to assure safe transportation. Does ABD offer permanent dumpsters? Yes! Please call to receive special pricing.